1. The state has a language all its own. Many states claim lingo and accents that set them apart, but NC visitors (and sometimes North Carolinians themselves) could stand to have a pocket dictionary, lest they get caught in a confusing conversation. When you shop, you push a buggy, not a shopping cart. If someone tells you they’re fixin’ to do something, they’re not implying something’s broken. Tar Heel fans refer to their rivals ever so fondly as Dookies, and watch out for anyone who tells you “Oh, bless your heart.” It’s almost never a good thing. And then there are the accents, which you definitely have to keep in mind when asking for directions. Here, Bahama is pronounced Ba-HAY-ma, Cashiers is CA-sherrs, Corolla is Cah-RAH-la, and Currituck is CURRY-tuck. Messing up these names won’t get you too many funny looks, but one will: Pronouncing “Appalachian” any other way but ap-pa-LATCH-in is just plain wrong. And don’t even try to understand a native Hatteras or Ocracoke islander’s Hoi Toider accent on your first NC go-round. If you visit North Carolina in the summer (the middle nine months of the year), the soundtrack to your visit will emanate around you from the strings of banjos, mandolins, and fiddles. When a bar or event here advertises live music, you can safely bet it’s bluegrass. This Southern mountain music is a living legacy here — Raleigh is home to the international bluegrass festival Wide Open Bluegrass. 3. …unless James Taylor is on the radio. North Carolina’s first son is James Taylor, and if “Carolina in My Mind” is playing, the whole state will sing along. It doesn’t take visitors long to learn the words. 4. To fit in, you have to pick a side in the Tobacco Road rivalry. There may be many rivalries in college sports, but none can match the ferocity of UNC vs. Duke, especially in men’s basketball. The Tar Heels’ and Blue Devils’ home courts are just eight miles apart, but loyalties are so strong across the entire state that for one not to choose a side is socially unacceptable. If you plan on staying here for a couple days, choose a blue, find a local sports bar like Tobacco Road (named for this very rivalry), and we promise the experience will be worth it. 5. But no matter which side of the barbecue rivalry you choose, you win. Basketball isn’t the only rivalry in North Carolina. Barbecue represents a large part of the state’s heritage, but unlike in sports, you can’t go wrong whether you choose Lexington (Western) style or Eastern style. Both the vinegar-based Eastern sauce and its sweeter Western sibling make the state proud. We even have our own Historic Barbecue Trail. Any stop along this route is sure to please. 6. Each year, the envelope is pushed at the State Fair. 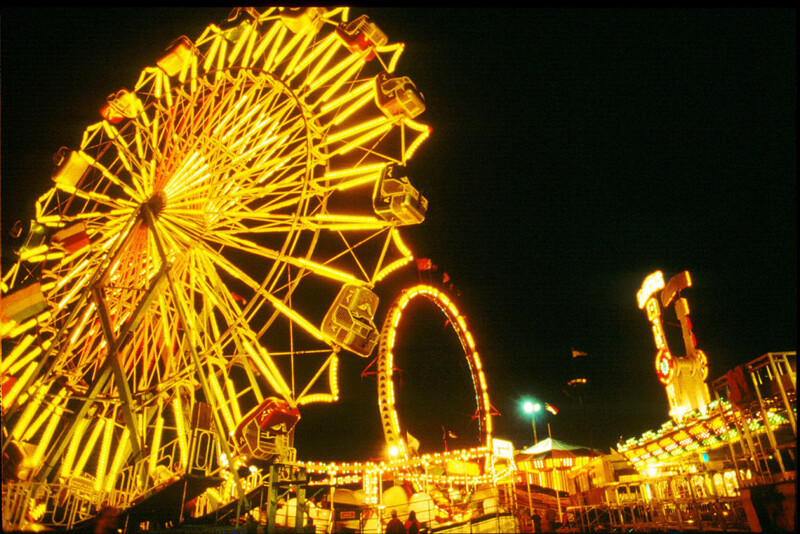 The North Carolina State Fair, held every October in Raleigh, draws more than a million people over the 11-day event. The entertainment, fireworks, and rides may bring folks in, but the most talked-about highlight each year seems to be what heart-attack-inducing Frankenstein concoctions the vendors came up with. At first, covering things like bacon in chocolate or deep frying sweets like Oreos, Snickers, and Twinkies was enough to stir the pot. But as the food lines grow longer, the crazy bar rises higher — think Krispy Kreme cheeseburgers and deep-fried peanut butter pickles. Witnessing this spectacle is an NC rite of passage. 7. There’s a brewery around every corner. More than 150 breweries call this state home, including an impressive number of homegrown operations like Mystery Brewing in Hillsborough, Primal Brewery in Huntersville, and Steel String Brewery in Carrboro, as well as some major players that have recently moved in, such Sierra Nevada and New Belgium. 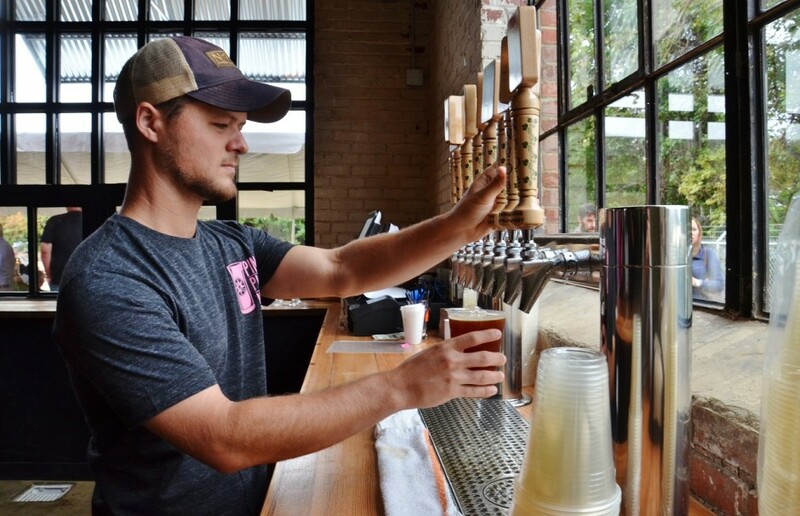 Bonus: If you’re visiting in April, check out NC Beer Month for a host of beer-related events, travel deals, and other ideas for getting the most out of North Carolina’s blossoming microbrew scene. If you’ve spent any time at all in North Carolina, chances are this was one of the first questions a local asked you. Located in the mountains of Asheville, the Biltmore and its 8,000 acres are steeped in Blue Ridge history and hold the title of the largest private home in America — though the word “private” is deceptive, given the fact that more than a million people visit every year. Once you become one of them, you’ll have an instant conversation starter when a stranger hits you with the state’s unofficial motto. When you’re in the Tar Heel State and you’re in search of a refreshing iced tea, be sure to specify if you want it unsweet or sweet. If you don’t, your taste buds may be in for a real shock. The default here is a tooth-achingly sugared-up brew over ice, and North Carolinians will look at you funny if you prefer anything but. 11. Turning left is a big deal. The origins of stock car racing are as colorful and loved here as today’s NASCAR paint jobs. What started as a way for moonshiners to outrun police in the Prohibition era led to racing just for fun, then for prizes. The nation’s first speedway in North Wilkesboro turned street racing to track racing, giving rise to NASCAR and a legal, hugely profitable sport around a counterclockwise loop. It’s difficult to visit North Carolina without bringing home a new favorite driver as a souvenir — of course, which driver all depends on who you find yourself sitting next to at the bar. 12. Moonshine didn’t vanish with Prohibition. No matter who you meet here, they’ll have a cousin or a neighbor or a distant uncle who makes the best moonshine, and they won’t hesitate to tell you all about how so-and-so made one that tastes just like apple pie. But the hooch is coming out of hiding. More and more store shelves are lined with trendy mason jars with stylishly Southern labels and colorful legal moonshine: purple for blueberry, red for strawberry, and gold for apple pie — just like NC mamas (and brothers and barbers and nephews) used to make. 13. You’d think some locals abbreviate North Carolina to OBX. Those who’ve driven Interstates 40, 77, or 85 have likely seen a quirky phenomenon: What seems like every other car has a license plate, bumper sticker, or both with the letters “OBX,” the three-letter moniker for the Outer Banks. Despite these common calling cards, though, the Outer Banks is still a rather hidden treasure, even to may North Carolinians — the barrier islands are remote by nature. Which makes them all the more special. Here you’ll find beaches where wild mustangs roam, the tallest brick lighthouse in the US, the “Graveyard of the Atlantic”, and miles and miles of pristine coastline to explore. Sure, the Wright Brothers did their tinkering and theorizing about manned powered flight in Ohio, because that’s where they were from. But they actively sought somewhere not Ohio to work and test their invention, and they chose the perfect location: Kitty Hawk and Kill Devil Hills, North Carolina. The world’s first flights took off and landed here — nowhere else — and don’t you forget it. 15. North Carolina is decidedly Southern…and not Southern at the same time. North Carolinians do love our fried food and moonshine and bluegrass, and we’re proud to admit it. But we’re also just as proud of our world-class universities and research centers, metropolitan downtowns, posh restaurants and trendy bars, diverse cultures and varied ideologies. We may not care to shout about these things from the top of Mt. Mitchell, but we’re more than happy to share them with our guests. We are home to Southern hospitality, after all.